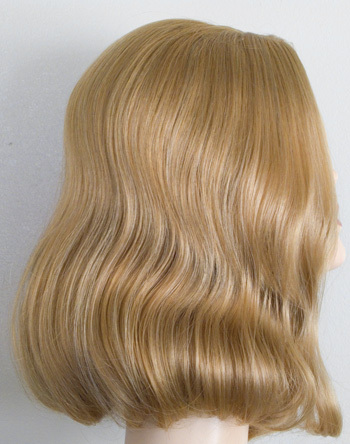 A shoulder length pageboy with a wave at the ends. 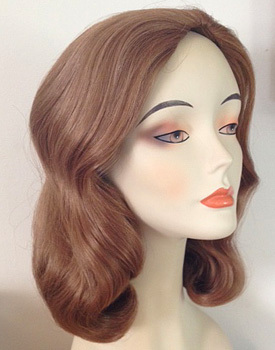 Like the 60s prom pageboy wig this wig is a nice flexible style. 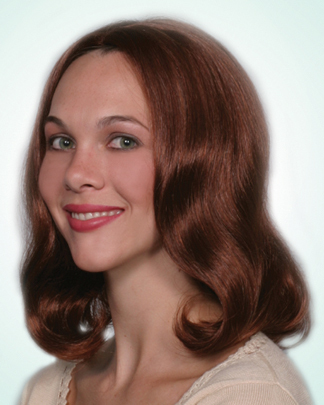 Leave as it is for a nice 60's hairstyle, or cut it, set it, curl it, straighten it. Stylists note: The waves will vary in intensity from batch to batch. 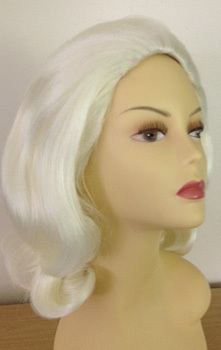 With a pale slom-toned skin top (a plastic scalp, for those not in the know) in the center of the front. This lets you change the part and retain a more natural look. 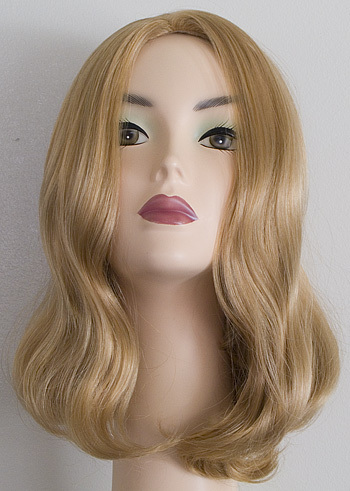 Cosplay uses: This has a LOT of cosplay uses - people have been buying these up for years to use as base wigs / extension cannibalization for all sorts of cosplays. 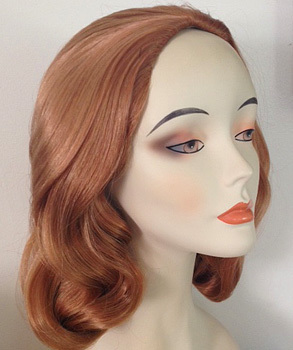 See the 60s prom pageboy wig for examples! 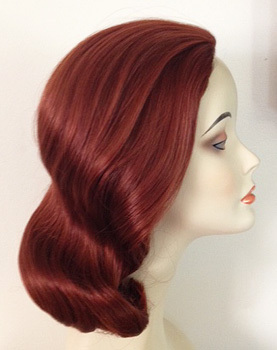 One customer specifically wanted this wig for her Agent Peggy Carter cosplay. 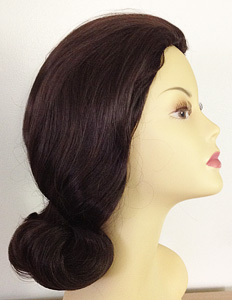 Back nape of wig cap to end of hair: 5 inches. This is very similar to the 60's prom pageboy. 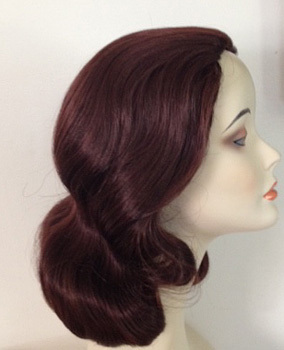 The 60's Prom pageboy comes in fancy colors and has a wider variety of greys.